Stargazing apps have always been popular on the iPhone, but their vivid graphics haven’t been able to shine on the iPhone’s tiny screen. Luckily, two of the most popular astronomy apps are already updated for the iPad and available for download. First is the award-winning astronomy app StarWalk, which has received an iPad-worthy makeover. Point your iPad at the sky and the app’s Digital Compass feature is activated, filling your screen with a live view of the stars above you. The StarWalk screen follows your movements exactly—tilt your iPad to left and you’ll see the cosmos to your left. Other features familiar to iPhone StarWalk users are all here, with slight tweaks that take advantage of the increased screen real estate. Scroll through time to view night-skies past or future; get more information about various celestial subjects including the moon, constellations, and planets; and manually choose a location from the 3D earth. It’s almost as good as looking at real stars. 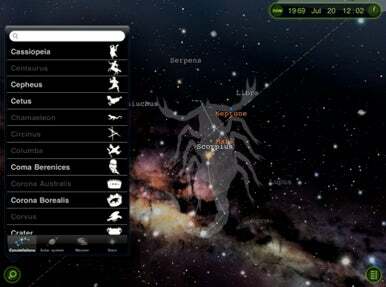 Another astronomy app updated for the iPad is Pocket Universe: Virtual Sky Astronomy for iPad. 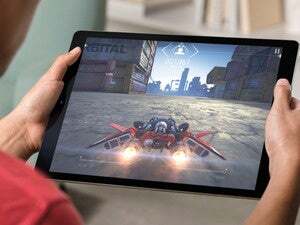 The app’s developers say they’ve rewritten the entire program for the iPad. Like many iPad apps already in the App Store, Pocket Universe was developed using Apple’s iPad Simulator on the Mac and wasn’t tested on the actual iPad hardware until now. The company has a disclaimer on its App Store page warning users of bugs. The upside is that people who buy this version get a discount—the app is currently just $2. Like StarWalk, PocketUniverse shows the sky in front of you wherever you point your iPad. Names of planets and stars are displayed and tapping on them will bring up additional information. There are helpful quizzes and suggestions for what exactly to look for based on the date and your current location. Both apps are available in the App Store now and are compatible with any iPad running iPhone OS 3.2 or later. 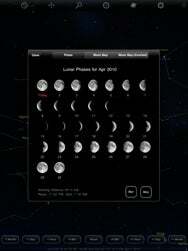 StarWalk is $5 and PocketUniverse is currently $2.